Qantas has highlighted a record revenue result across its customer loyalty programs and plans to reach 10 million members this year, the airline said in its end-of-year financial report. According to Qantas’ annual report, underlying EBIT across the loyalty business jumped 13 per cent to $26m, marking the business’ fourth consecutive year of double-digit growth. Total billings reached $1.2bn, with external billings up 4 per cent. Marketing revenue was also up by 10 per cent to $358m, thanks to record credit card billings which drove increased spend, as well as new card take-up. News of the stellar financial result came as Qantas launched its next-generation loyalty card featuring Qantas Cash. The new offering allows members to pre-load up to nine currencies onto their card to spend both in Australia and overseas, and earn points when they spend their own money. The initiative is in partnership with MasterCard and also includes PayPass swipe payment capabilities. Qantas claimed 500,000 people registered for the card in advance prior to its launch on 28 August. Loyalty also reported record customer satisfaction during the financial year using Net Promoter Scores. Qantas Group CEO, Alan Joyce, said the Qantas Frequent Flyer program is vital to the group’s future, attracting 9.4 million members to date, or an average of 2000 new members a day. He claimed it is on track to crack 10 million during the next financial year. July billings were up 11 per cent year-on-year, and strong growth trends continue into August, the company stated. “It is a leading loyalty business and a strong, stable source of revenue,” Joyce said. “The new Emirates partnership has greatly increased the options and benefits available to members, driving a 50 per cent increase in redemptions on partner airlines in the final quarter of FY13. We have also opened up better opportunities for members to earn and redeem points on the Jetstar network. Joyce said the group continues to generate new revenue streams for Qantas Loyalty through partnerships in the fast-growing loyalty services market. The program has hundreds of partners including Woolworths, David Jones and Optus. According to a recent presentation by Qantas Loyalty head of brand and marketing strategy, Zac Vogel, at the ADMA Global Forum in Sydney, $660m in rewards are redeemed by cardholders every year across 5.4m flights. Vogel also said the team is embarking on a progressive profiling exercise this year to learn more about its members and to ensure it continues to provide the best customer experience for both high-frequency users, as well as those who fly less frequently. Overall, Qantas reported pre-tax profits of $192 million, up from $95m last year, off revenues of $15.9 billion for the year to 30 June 2013. Net profits came in at $6 million over the same period, a stark contrast to the $244m statutory loss reported last financial year. 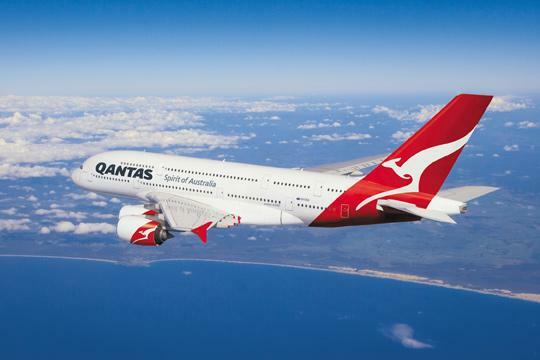 The group highlighted its Qantas Transformation program, which includes major strategic initiatives to improve efficiency and reduce costs, as a key contributor to its steady results. The program continues into the new financial year.